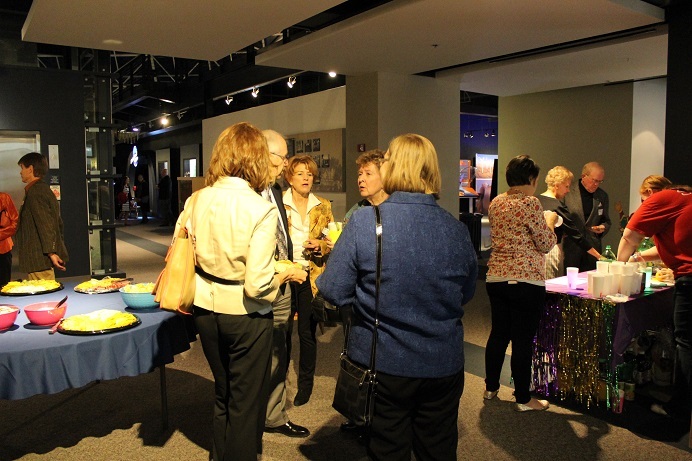 On the evening of Thursday, November 7, teachers and informal educators, child welfare workers and policy makers, philanthropists and volunteers gathered at the Strategic Air and Space Museum in Ashland. They came together to celebrate the progress made in promoting Science, Technology, Engineering and Math programs in afterschool and summer school programs. 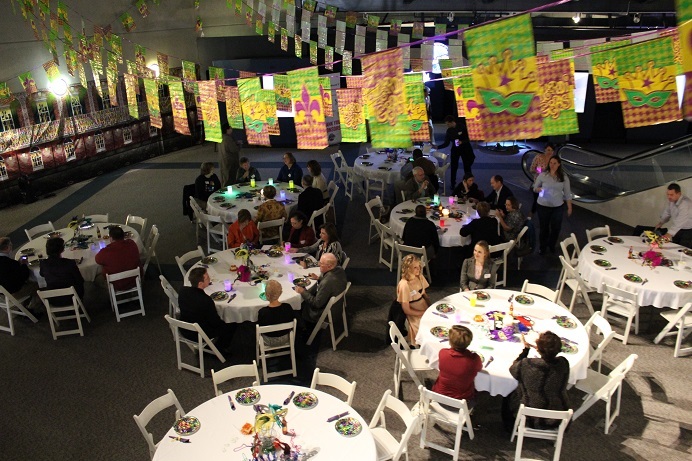 Guests enjoyed a buffet of Cajun style food, and a New Orleans theme. 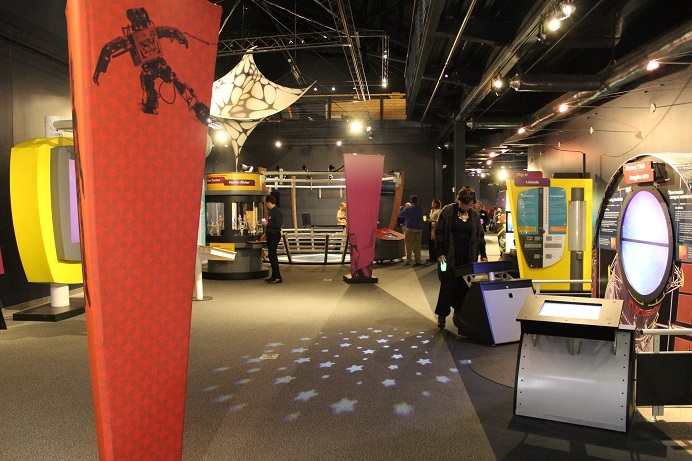 Before the program began, they had a chance to explore Math Alive!, the museum’s traveling exhibit from Rathaeon. 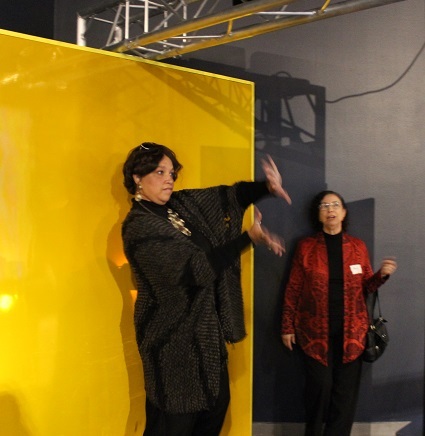 NET’s Martha Florence dances in front of a motion sensing screen. 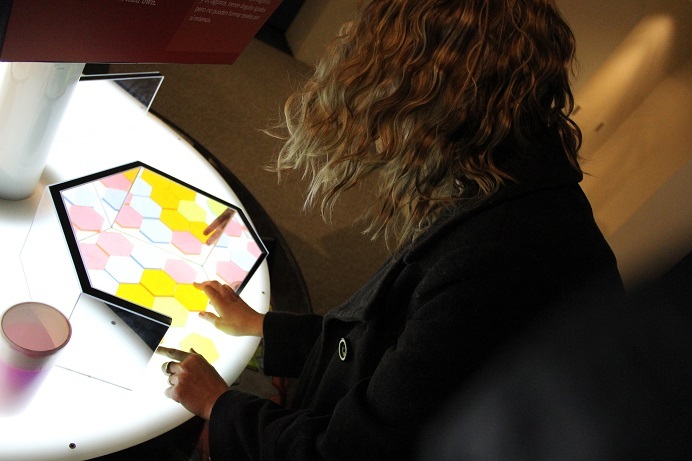 A guest assembles hexagons into a pattern. 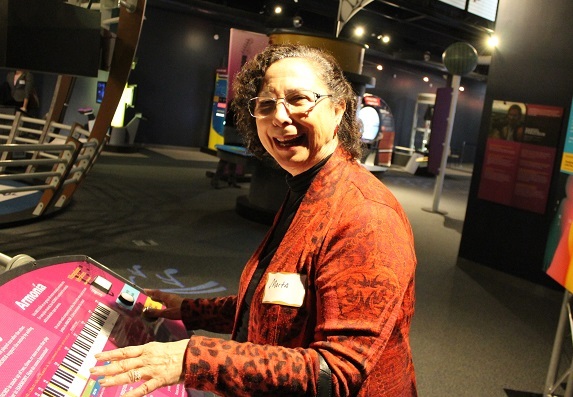 NCFF board member Marta Nieves learning about the math behind music. Drinks were served with a glow-stick for an extra kick of sci-fi fun. 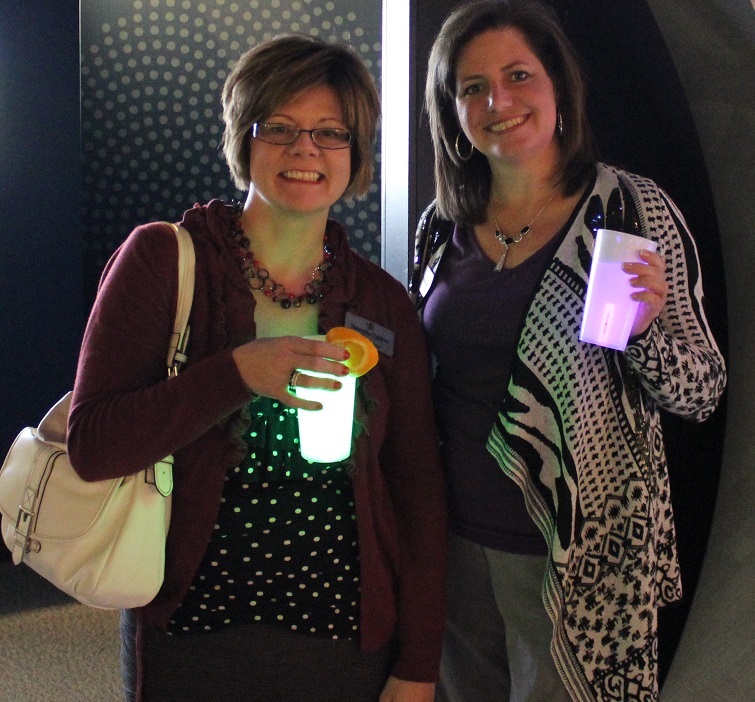 Kelly Medwick and Wendy Van pose with their luminescent beverages. 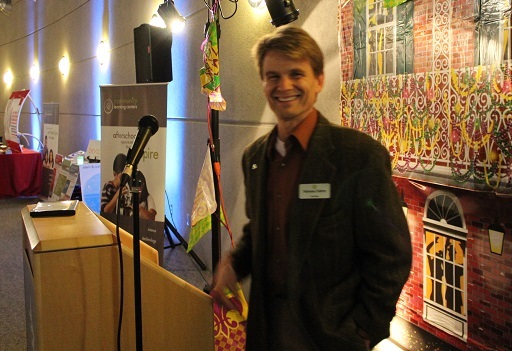 Ken Schroeder, the museum’s acting Executive Director started the evening’s event by welcoming guests, and introducing the Jeff Cole to talk about STEM in Nebraska. 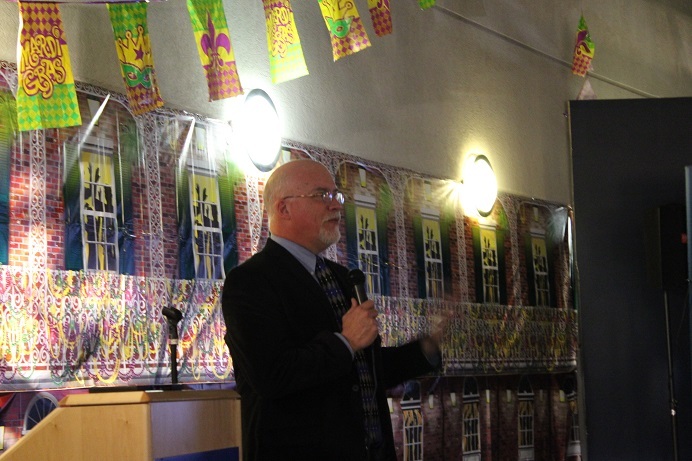 Jeff Cole preparing to speak to the audience. 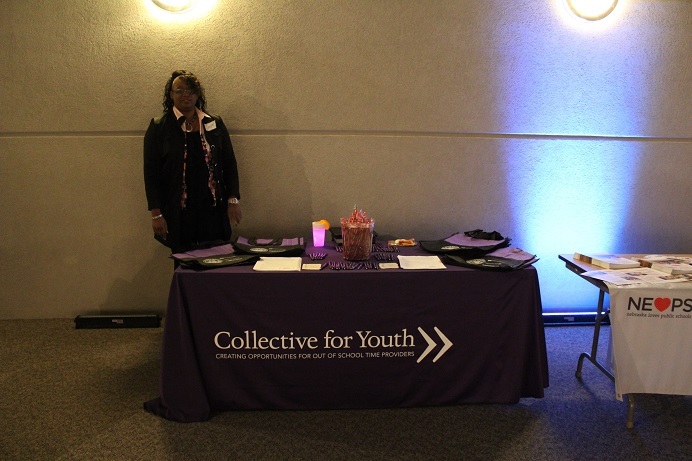 Booths from area expanded education organization provided information about programmatic options across the state. The crowd ate, drank, played and learned at the event, then came away more committed to promoting STEM learning across Nebraska.